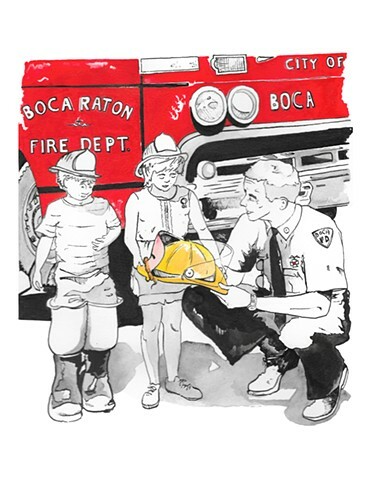 A tribute to my grandfather sourced from a photograph taken when he was a volunteer firefighter in Boca Raton, Florida during the 1950s. When I saw this image in dusty photo album it reminded me of a Norman Rockwell painting. And it was brought to life as a gift for my grandmother.